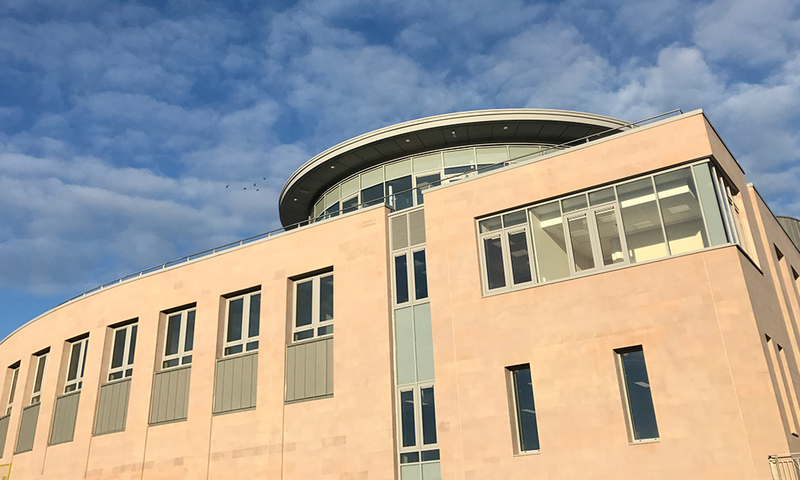 The Higgs Centre for Innovation is named in honour of Professor Peter Higgs of the University of Edinburgh, who received the Nobel Prize for his prediction of the existence of the Higgs Boson which was discovered at CERN in 2012. The new Higgs Centre for Innovation will support start-up businesses with the aim of creating new market opportunities, especially in big data and space technologies. The Centre is funded through a £10.7 million investment from the UK Government. The Science and Technology Facilities Council will invest £2 million over five years to operate the centre. PMJ Masonry were tasked with installing Doddington Sandstone in 75mm traditional walling to the external facade of the building. A stunning looking building for our future physicists!